Saint Patrick's School celebrated graduation on June 13, 2014. Congratulations to all the graduates! We welcome them all to the Alumni Association. 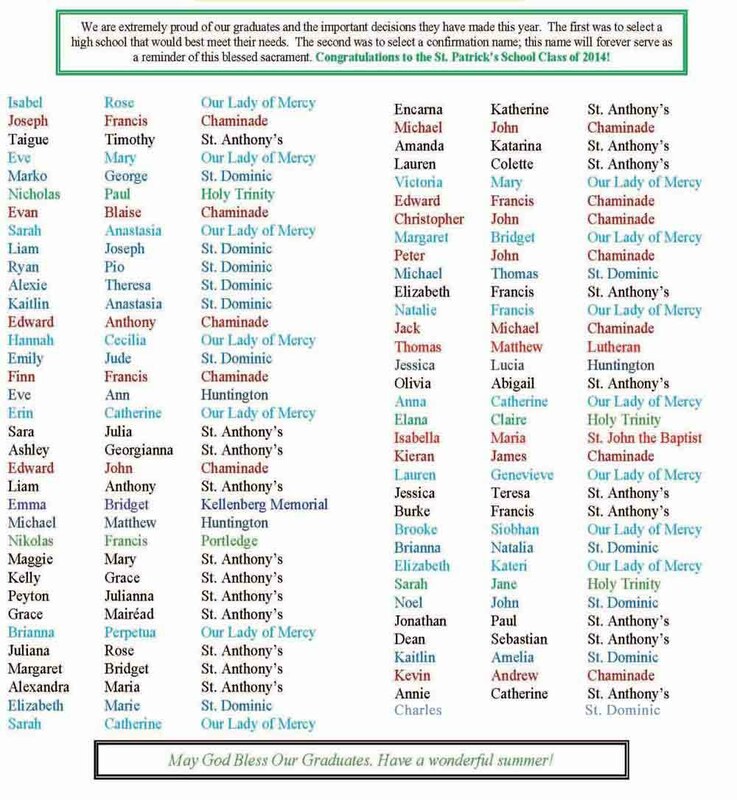 We also have a list of the graduates, with their Confirmation names, and the high schools they will be attending in the fall. Good luck!